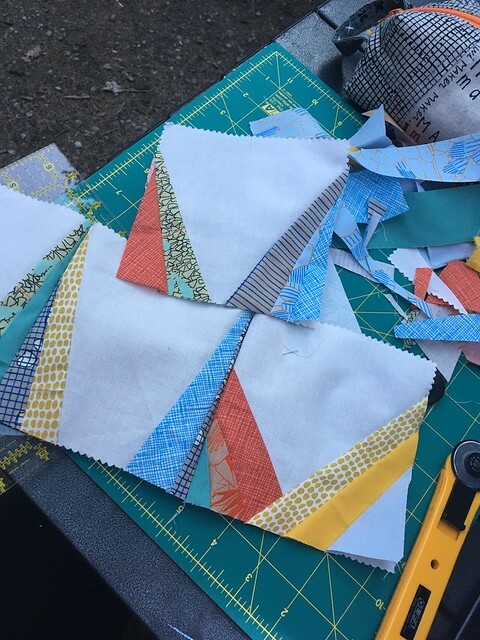 Sew Outside – Jasper | What Goes With What? Tonight I’m sewing in Jasper at Whistler’s Campground. The Goal Zero Yeti 150 Portable Power Station is set up with MJ my Featherweight plugged in and ready to sew. At the same time I’m charging The Viking’s iPhone. 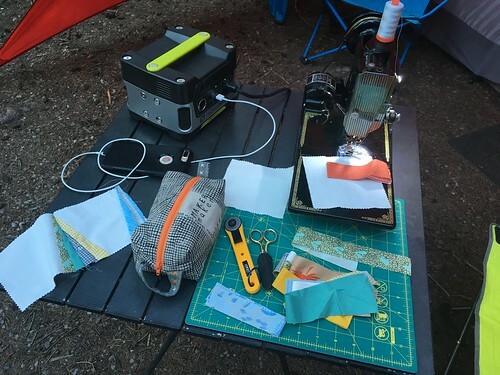 The perfect set up for off grid sewing. Nothing but the sound of a featherweight stitching in the wilderness. Lol!! In the works, more mountain blocks. Maybe I should throw in some glaciers too. Sew in the wild! 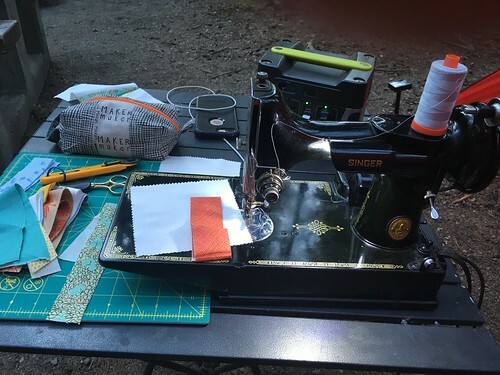 This entry was posted in Adventure, Sewing and tagged Adventure, off grid, road trip, sew off grid, sewinthewild, sewoutside by Diana. Bookmark the permalink. That black sewing machine is a beast. Only serious people can have that. 1948 and it sews like a dream! If only stuff today was made like that.